← Advanced Scratch – Week 2 – Buttons and Crazy Images. 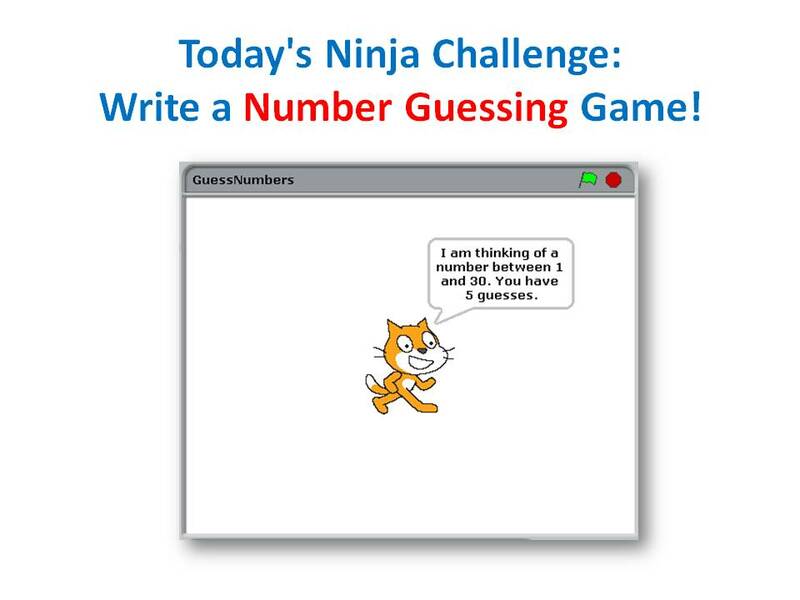 Today’s challenge: write a number guessing game! Here are my notes from the day, in PDF format: CDA-S2-Challenge02-GuessNumbers.pdf. If you would like me to send you the PowerPoint slides of my notes, get in touch via twitter or by leaving a comment.